Kamelot is holding a concert Saturday 14.May.2011 in Oslo. The concert is holding place at Rockefeller, the address is Torggata 16, 0181. The tickets cost 325 Norwegian kroner. 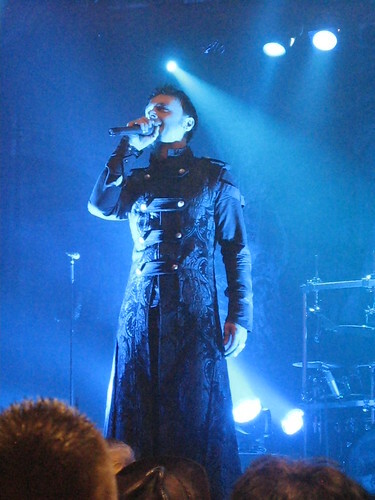 Kamelot is an American symphonic power metal band from Tampa, Florida. The band was created in 1991. They have released 9 studio albums, 2 live albums, 1 live DVD and 8 music videos. The members are: Roy Khan - Vokal (1998-), Thomas Youngblood - Gitar (1991-), Sean Tibbetts - Bassgitar (1991-1992, 2009-), Casey Grillo - Trommer (1997-) and Oliver Palotai - Keyboard (2006-). Simone Simons is a guest vocalist in this song, the haunting (somewhere in time). she is also the vocalist in Epica.